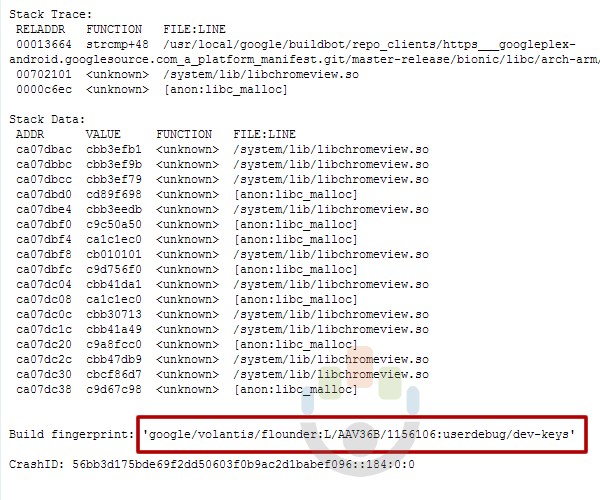 The folks over at MYCE discovered a potential codename for an unreleased Google device that recently made its way through the Chromium issue tracker. There is a build fingerprint in the listing that mentions two words – “volantis” and “flounder.” If you have followed any of our Nexus coverage over the years, the name “flounder” should stand out as being significant, since Google tends to give its Nexus products fish-related codenames. Is this the next Nexus? Let’s talk about it. If you look back at history, then history will tell you that a reference to a Google product with a codename related to a fish is more than likely a Nexus. We have seen Google use toro (Verizon Galaxy Nexus), maguro (GSM Galaxy Nexus), hammerhead (Nexus 5), mantaray (Nexus 10), flo (Nexus 7, fish in Finding Nemo), mako (Nexus 4), and grouper (Nexus 7). This is how Google does it. Flounder is new, though. There isn’t a current Nexus product that operates under this codename, yet the Chromium issue tracker has a device from Google with this name attached. While this doesn’t confirm anything at this time, we do have a new nicknames to keep an eye on. With that firmly planted in your brain, now you get to speculate on what it could be. Is it a new Nexus 10, a Nexus 8 or the Nexus 6? So we should keep both “volantis” and “flounder” on our lists to track. Also, going forward, consider them to be the same device.